Apple has been named as a winner at the 23rd Display Industry Awards, honored in two categories for the screens used in the iPhone X and the iPad Pro that include technological advances, outstanding features, and in the case of the iPhone X, how the display is actually used in the device. 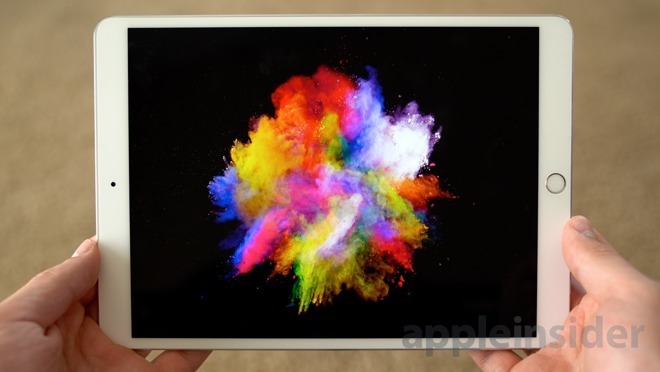 The iPad Pro screens used in the 10.5-inch and 12.9-inch models have been declared Displays of the Year, which are given to "display products with the most significant technological advances or outstanding features." The display's ProMotion technology is highlighted as one of the main reasons it won in the category, with its ability to adapt between 24 and 120Hz noted as "the first displays in mainstream computer products to do so." The committee adds that it is enabled by a "new high-performance oxide TFT, as well as newly engineered liquid-crystal materials and advanced photoalignment materials." The iPad Pro is honored alongside the other category winner, the Sharp 70-inch 8K LCD TV, said to be the first to offer full compatibility with 8K display technologies, with "unmatched luminance, contrast, and color gamut." For Display Applications of the Year, a category dedicated to "novel and outstanding applications of a display, where the display itself is not necessarily a new device," the iPhone X is celebrated as the first in the product line to "fulfill the vision of a smartphone that is entirely screen, with no physical elements, keyboards, or dedicated function buttons." 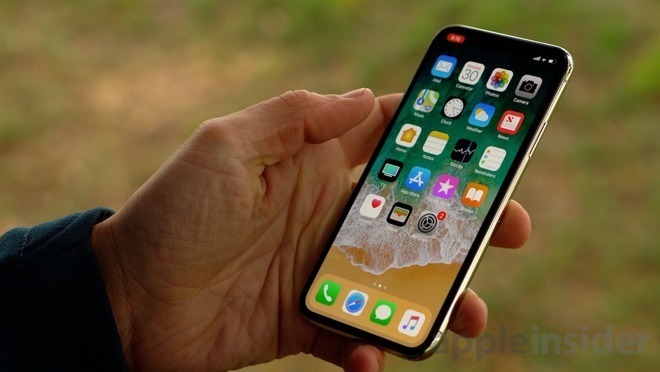 Removing the Home button made the display become the "primary element for all interaction, allowing the display to flow and entirely fill the face of the iPhone." The 5.8-inch Super Retina display with a pixel density of 458ppi is said by the committee to be the "first OLED panel to match the standard set by prior iPhone generations," with its striking colors, true black shades, million-to-one contrast ratio, and HDR support for Dolby Vision and HDR 10 also praised. Alongside the iPhone X in winning the category is the LG Display UHD Crystal Sound OLED, a television that is noted for having a speaker integrated into the display panel. This allows sound to be emitted from the display itself, rather than from the sides or reflected from a speaker on the back of the screen. "Several of the winners feature new capabilities that will help drive broader levels of technology integration and adoption," said awards committee chair Dr. Wei Chen. "Moreover, the companies chosen represent a mix of prior and first-time recipients of Display Industry Awards, further emphasizing the growth that continues to take place throughout the electronic display ecosystem." The awards consider products available to purchase during the 2017 calendar year, and were decided upon by a panel of experts who evaluated the nominees "for their degree of technical innovation and commercial significance, in addition to their potential for positive social impact." The Display Industry Awards will recognize the honorees during a luncheon at the Los Angeles Convention Center on May 23, as part of the Society for Information Display's Display Week.